Sharjah Art Foundation today announced that tickets to Sharjah Film Platform screenings are now on sale. They are available on Tickermaster at www.ticketmaster.ae. Tickets will also be available for purchase at the screening venues and the box office located at Sharjah Art Foundation’s Information Centre in Al Mureijah Square, Sharjah. This year marks the first edition of Sharjah Film Platform (SFP), a new annual film festival organised and presented by Sharjah Art Foundation. 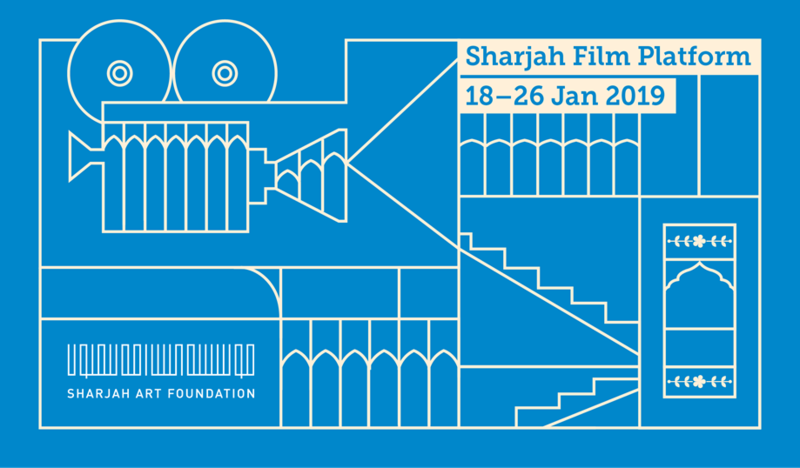 Running from 18 to 26 January 2019 in four venues across the city of Sharjah, SFP includes screenings of over 140 narrative, documentary and experimental films, both short and feature length. More than 40 countries and over 30 languages are represented. A number of these films will have their premieres at SFP. Among the premieres are two films by the SFP Short Film Production Grant awardees, which will be screened on opening night, 18 January 2019, in Mirage City Cinema, Al Mureijah Square. In a collaboration with The Africa Institute, Sharjah Art Foundation will also present three restored films by Youssef Chahine in Africa Hall to mark the tenth anniversary of the internationally acclaimed Egyptian director’s passing. This special focus on Youssef Chahine is programmed by Hind Mezaina. The SFP programme will also feature workshops and talks exploring the latest techniques and theories in film as well as recent developments in the film industry. Sessions will be led by Emirati filmmakers and practitioners along with regional and international speakers. All talks and workshops are free and open to the public. To register to attend, visit sharjahart.org. Tickets are now available for purchase online on Ticketmaster. They will also be on sale at the screening venues and at the box office in Sharjah Art Foundation’s Information Centre, Al Mureijah Square from 18 to 26 January. The box office will be open from 12:00 pm to 10:00 pm from 18 to 25 January and from 12:00 pm to 4:00 pm on 26 January. To purchase tickets on the day of a screening, visit the SFP box office or the four venues from 2:00 pm onwards. SFP screenings are organised in 23 programmes of one or more films, with most programmes repeated during the week at different timings. Ticket prices are 15 AED per programme, but a discounted price of 8 AED per programme is available for bulk ticket purchases of 10 or more. For group ticket sales to the screenings of the film programmes at a discounted price, please contact ticket@sharjahart.org. Films will be screened every day at either 3:00 pm, 6:00 pm or 9:00 pm in one of the four venues. Doors will open 15 minutes before the screening of each programme and close 5 minutes after the designated screening time. Please note that all seating is on a first-come, first-served basis and cannot be reserved in advance. Further details will be available soon on Sharjah Art Foundation’s website. Visit sharjahart.org to learn more.